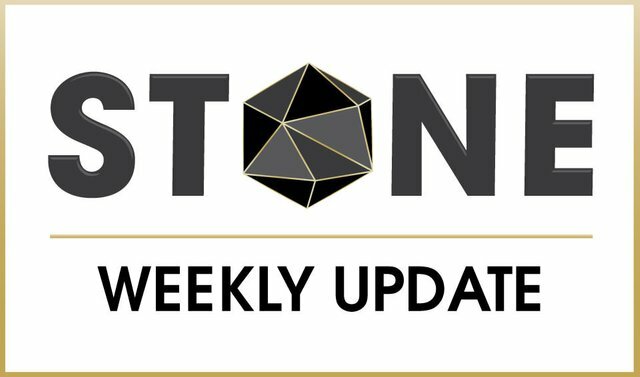 We have been in discussion with multiple masternode hosting providers to form a partnership for STONE. There's not any guarantee that these will pan out, but as always we feel it's best to be transparent. Due to the sudden increase in masternode hosting platforms among a competitive landscape, we feel it would be better to form a partnership with already existing services rather than attempting to compete directly. We will have more updates on this as it develops. If you still haven't installed the Sync Manager on your VPS simply run the script using option 4 to install the new STONE Sync Manager. The STONE Sync Manager also will install when using option 1. If you experience any bugs, please don't hesitate to write in the Discord channel #bugs. Another topic in the STONE Discord has been the request for shared masternodes. Unfortunately, we have decided to not provide shared nodes until the platform is completed. We feel the cost structure and the effort required to track and process payments manually makes it unaffordable for smaller investors. It would be far more cost effective for those to acquire the remaining coins and host a full node or hold until the value of STONE increases. As always, you can earn STONE from other Community members who tip for positive contribution in the Discord, such as helping others, promoting STONE over other socials or simply be around in the DJ lounge and bringing a good vibe. There are games and other live events so come to check us out! Join the STONE Discord, introduce yourself and one of our community liaisons will Tip you with the STONE tip bot. Make sure to participate in the discord to keep earning FREE STONE! You can buy STONE on either Crypto-Bridge or Crex24.